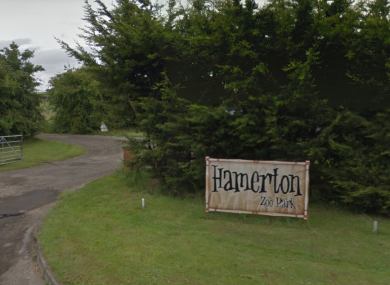 The incident happened in the Hamerton Zoo Park in Cambridgeshire. A STAFF MEMBER has died in a UK zoo after a tiger entered the enclosure she was working in. The woman, who was a zookeeper at Hamerton Zoo Park in Cambridge, was confirmed dead this evening by Cambridgeshire Police. They had initially said that they were “dealing with a serious incident” but would not go into more detail. Email “Female zookeeper dies in the UK after serious incident with tiger”. Feedback on “Female zookeeper dies in the UK after serious incident with tiger”.